Designs by Lisa Somerville: What's your Muchness? What's that you ask? The Oh Alice Blog has a fun challenge this week, What's your Muchness? The theme, what is the HEART of your stamping style, is it your favorite embellishment, "signature style", favorite technique. For me, my "muchness" would have to be multiple layers, techniques and the use of Black card stock, to pop my layers. 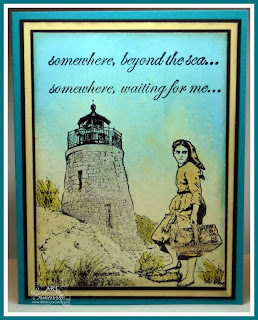 I used the wonderful new images from the Artistic Outpost Beyond the Sea plate. Stamping the images in Black Archival, using some Eclipse Tape to mask the images to create the scene. 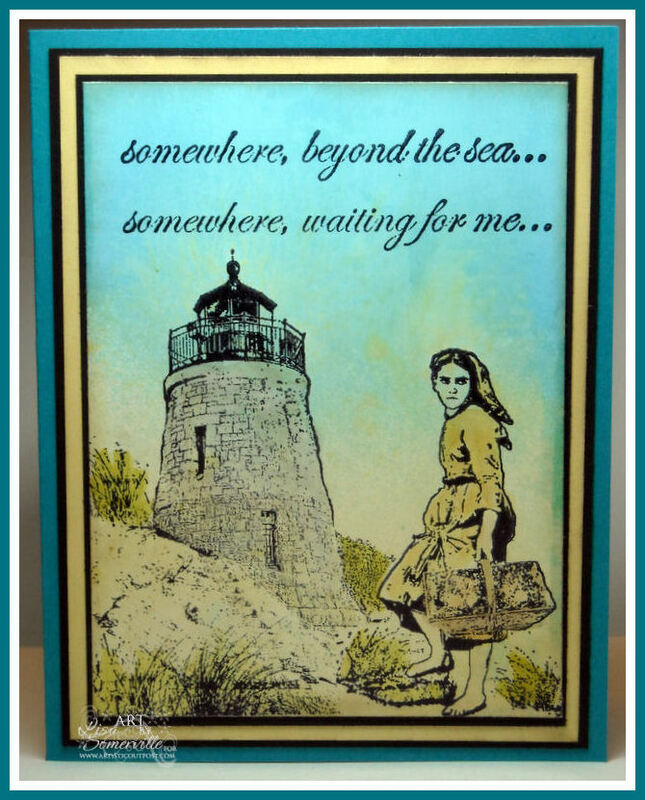 To add the background color, I used the Glimmer Mist Watercoloring Technique, then added color to the images with Ranger Distress Inks. I love your use of black in layers, which is something I love to do also. Such a beautiful card, perfectly colored! Wonderful! You know I love your black layers and I also love this scene and the colors with it. Thanks for joining us at OAC this week! Great card your Royal Muchness! What a wonderful card..yes, the black does make it pop! I am one that barely ever uses black so I admire this as it definitely makes it pop! Thanks for sharing your muchness w/ Oh, Alice thisweek! LOVE it!! Such a great card! wonderful Muchness! Thanks for joining us at Oh Alice! !